Home tax planning tips Tax Planning :How to Prevent Addition to Income Sec. 56(2)? Tax Planning :How to Prevent Addition to Income Sec. 56(2)? 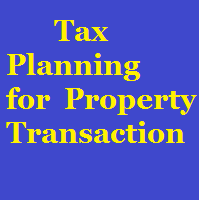 Tax planning for property transaction is the need of hour, because Finance Act 2013 has brought in amendments effective from assessment year beginning 01/04/2014 ( 01/04/2013 of FY 2013-14) by which it has now been provided that if the stamp duty valuation by the state authorities is more than the buying price of a land or building as per purchase agreement , amendment to section 56(2) provides that the difference in the stamp duty valuation and the purchase price will be added to the total income of the buyer of the house u/s 56(2)(vii) as “income from other source”. Previous articleSearch & Seizure : Test Your Knowledge !